Checked your mail today? 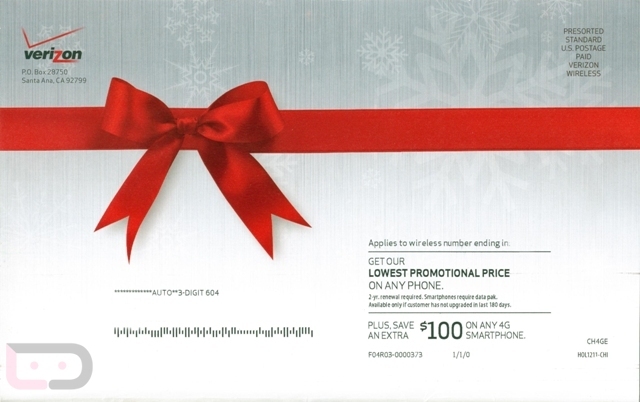 You may have received a flyer from Verizon that will get you $100 off of any 4G smartphone from now through X-Mas. 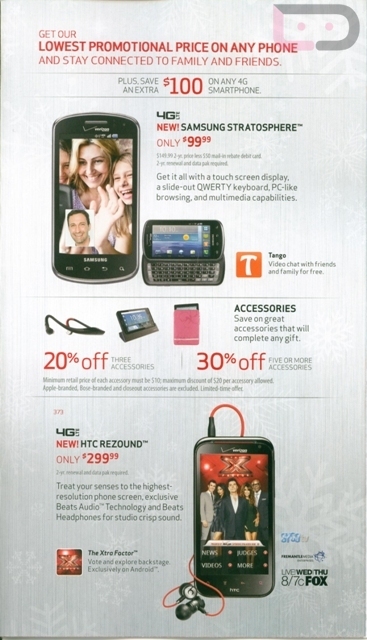 Not a bad deal, especially knowing that a certain phone is dropping at some point within the next week and will likely be priced at $299. 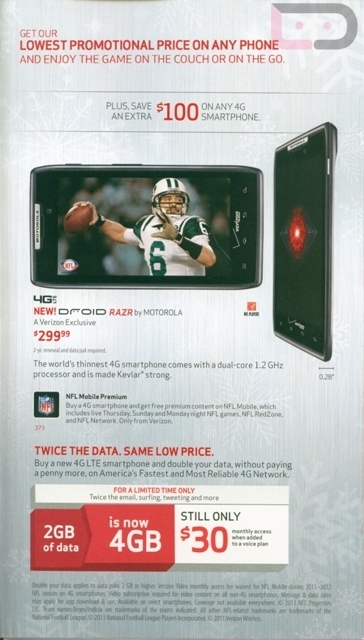 And this mailer doesn’t appear to limit your choices – RAZR, Rezound or Galaxy Nexus should be fair game. 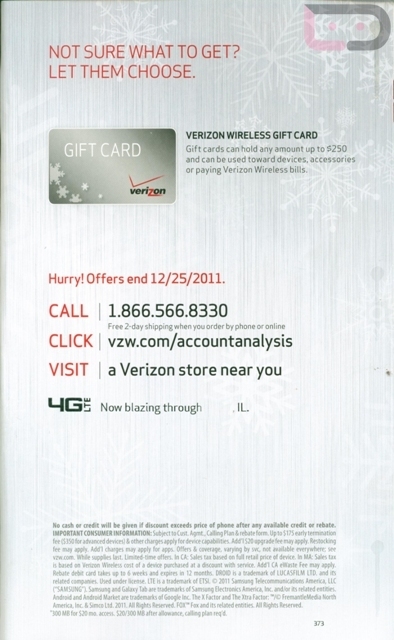 Not sure how far this mailer reaches, but this one appears to be in Illinois.